In addition to helping you maintain furniture and garden, coffee grounds is unsurpassed as a cosmetic product. It is an excellent fighter against cellulite thanks to its antioxidants and caffeine, which improves circulation. In the short term it will eliminate the cellulite on thighs and buttocks. Coffee sediment has long been used for face, hair and feet, and are particularly effective are peels with it. There are numerous recipes that will make you have a completely different opinion about this product. Try it, it will not cost anything. Enjoying coffee to many is one of the favorite daily rituals. Someone is waking up in the morning completely unimaginable without it. The sediment that remains at the bottom of cups and pots is thrown away when we drink this delicious beverage. There are many uses to it. So what we think is the waste can be very useful in every household. Coffee sediment contains caffeine, antioxidants and a variety of nutrients. From there you can make preparations for face and body, hair, and is effective in the fight against cellulite. Even you can use it for the care of your pets. Peels with coffee sediment are used to remove dead cells, narrow pores, soften wrinkles and tighten the skin, and also protect you against free radicals. It is not unknown that the coffee sediment for dark circles around the eyes is very good. It will remove unsightly dark circles around the eyes after only a few treatments. Because the acidity it is recommended as a soil amendment in gardens and compost. It can also be used as a detergent, stain remover, odor neutralizer. It gives a special flavor to the meat, but also the natural color to fabrics. a few drops of essential oils of your choice (optional). Combine all ingredients, put in a jar and refrigerate. If necessary, remove a small amount of the mixture, apply on your face and rub gently in a circular motion. After a few minutes, rinse it well with water. Peel with coffee sediment can be used two to three weeks. Coffee in combination with coconut gives skin a fresh complexion and makes it brighter, and this facial mask is suitable for all types of skin. 2 tablespoons of honey (if your skin is dry) or 2 tablespoons of lemon juice (if your skin is oily). In a bowl mix the coffee sediment and coconut flour. Then add the milk and mix until a uniform smooth mixture is formed. If you want thicker mask, empty less milk. Add honey or lemon juice and mix well again. Apply it to a clean face and leave it there until it dries, then rinse. Unused rest of the mask you can use in the next few days, provided it is stored in a freezer. Another effective mask you can make is by combining 2 tablespoons of coffee sediment, honey and yogurt. It is very nutritious, hydrates the skin and tightens the pores. The antioxidants in coffee have proved to be effective in the fight against cellulite and caffeine helps the circulation. Mix 1/4 cup of sediment with 3 tablespoons of hot water and let it stand for some ten minutes. Add 2 tablespoons of olive oil and all stir well. This simple "cocktail" use in the shower. After you clean the problematic areas with water rub the mixture and massage the skin. In a light circular motion massage two to four minutes. Coffee sediment against cellulite is something that you certainly need to try, before reaching for any expensive cosmetic products. 1-2 teaspoons of vanilla extract. Mix well with all the ingredients. First, keep your feet in warm water for about ten minutes, to soften the skin, then rub a mild exfoliation. In this way you will remove all the dead cells from the skin of legs. After washing of the feet will be soft and smooth. Mix coffee sediment with a balm for hair and rub into the scalp for several minutes. The mask will make your scalp looks brighter and softer, and the caffeine will have a positive impact on the growth of new hair. This mixture can be used once a week. Dyed brown hair will keep its intensity of color for a long time when using this mask. It the metal container pour the water and let it boil. Then the container place in a small court in which you put glycerin soap, and leave it to dissolve on steam. This will take a few minutes. When the soap has melted, remove the pan from the heat, add vanilla, coffee grounds (one teaspoon) and powdered milk. Stir well. Prepare the mold for soap (you can use molds for muffins). At the bottom of each first put a teaspoon of sediment (previously lubricate them with olive oil). Then carefully pour the soap into them. Wait a few hours until it cools down, so they carefully remove using a small kitchen knife. The wax from the remains of candles melt over hot water in a metal bowl that you put over a larger bowl of boiling water. This process takes about five minutes. Clean the paper cup and make sure it is fully dry. Coffee grounds put on a paper towel to soak up excess liquid. Place the wick in the middle of the cup, then add half of the sediment to the bottom. Over coffee sediment carefully pour half of the melted wax, then wait for about twenty minutes until it cools down. The cooled wax sprinkle with the rest of the sediment Re-heat the second half of the wax to be completely smooth and pour over it. Wait at least an hour until the entire candle cools down, and carefully cut the paper cup. Coffee is a natural fertilizer that can accelerate the growth of your plants. This is another reason why you do not need to throw coffee sediment. Mix it with soil for planting or compost. It will enrich the earth with valuable organic material and attract worms, which added nutrients to the earth. Unlike worms, snails do not like coffee, but will not approach your precious plants. Fishermen recommends putting a little sediment in a container with soil and worms. It can be used as bait for a longer period of time. Some flowers such as hydrangea, change its color and intensity depending on the pH value of the land. Coffee sediment for flowers is multi-beneficial. It will lower the pH level and the flower will receive a beautiful light blue color. The sediment can be sprinkled in the water in a vase with flowers. It will look more interesting because of the color, and will spread the smell of coffee in the room. Coffee sediment can help in the care and maintenance of the pet fur. It proved to be an effective tool against fleas. It is enough to mix with shampoo for dogs or cats you normally use. Coffee sediment can become your favorite new ingredient in the preparation of various types of meat. It will improve taste, and it can be combined with spices that you normally use. Rub the residue in the meat and let it stand for at least an hour. You can add the marinade, because thanks to coffee meat will further soften. A mixture of sediment, hot water and vinegar can remove stains and hide scratches in a dark wooden furniture. 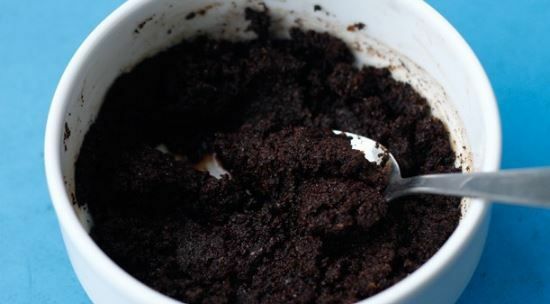 Put a bowl of coffee sediment in the fridge to suppress unpleasant mixture of smells of different foods. Make a trap for ants and other insects in the house by putting some coffee sediment on some tape. Stubborn fatty deposits on pans and metal container can be removed by using coffee sediment and kitchen sponges. Unpleasant smell on hands after chopping garlic or onions can also be counteracted by coffee sediment. A mixture of sediment, boiling water and a few drops of detergent courts will help to clean the pipes in the kitchen, but also those in the bathroom. Although many are against it, feel free to pour this mixture into the drain made. Coffee sediment is rich in natural pigments, so it is often used as a color for painting fabrics, feathers, paper, Easter eggs. Just boil coffee sediment, and it is up to you to decide how to make use of his fine bronze color. We believe that you found out about the merits of coffee sediment and that you will freely apply it in your household. On this occasion, we recommend another text worthy of your attention: why should we not throw a banana peel.